As Maffia prepares to round out his high school career Saturday at the 43rd annual B.C. 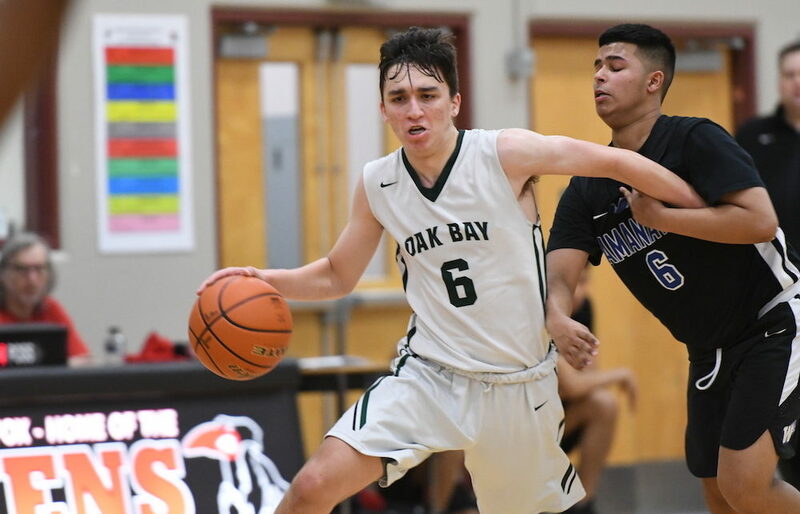 High School Basketball All-Star games at Surrey’s Semiahmoo Secondary, the Oak Bay Bays’ resident superstar guard was comfortable speaking to his future which is set to begin unfolding right in his own back yard this coming fall. “We had a couple of meetings and we discussed the plan,” Maffia said Thursday about chatting about his role within the future of Vikes’ basketball with head coach Craig Beaucamp. Yet if the decision seemed like a given to those watching from afar, that one of the province’s most prolific scorers ever would stay home for his university career, was it really all that simple for him in the end? “Not really, no,” said Maffia, who plays high final high school game on Saturday night as he and the rest of B.C.’s Quad-A all-stars face the B.C. Triple-A all-stars at 7:30 p.m.
Moving to Victoria for his Grade 9 year, Maffia very quickly picked up on the special vibe the Vikes have in the capital city, as well as the connection Oak Bay has as a traditional feeder to the UVic program. Throughout his high school career, Maffia has been a step ahead of his competition in terms of the ways he has worked to put himself in the best position to flourish, especially on the offensive end. Now, however, his greatest energies are being poured into trying to insure the same kinds of things can begin to happen at the next level, where initially, the competition is going to be, in some cases, four-to-six-years his senior.